Create a marketing strategy and execute a campaign that would optimize their trade show, PR, event and advertising efforts. Proterra was able to increase their lead engagement by 82%, driving pre-scheduled meetings for executives by 2,000% and tripling Real Opportunities from the event. Increase brand awareness and enhance Tidel’s outreach efforts. To develop a strategic plan encompassing PR, online reputation, CRM outreach, content development and a host of other activities that would increase brand objectives. Since working with Proterra, Tidel has seen an increase in social media engagement, an increase in website traffic and in sales revenue generated from our efforts. 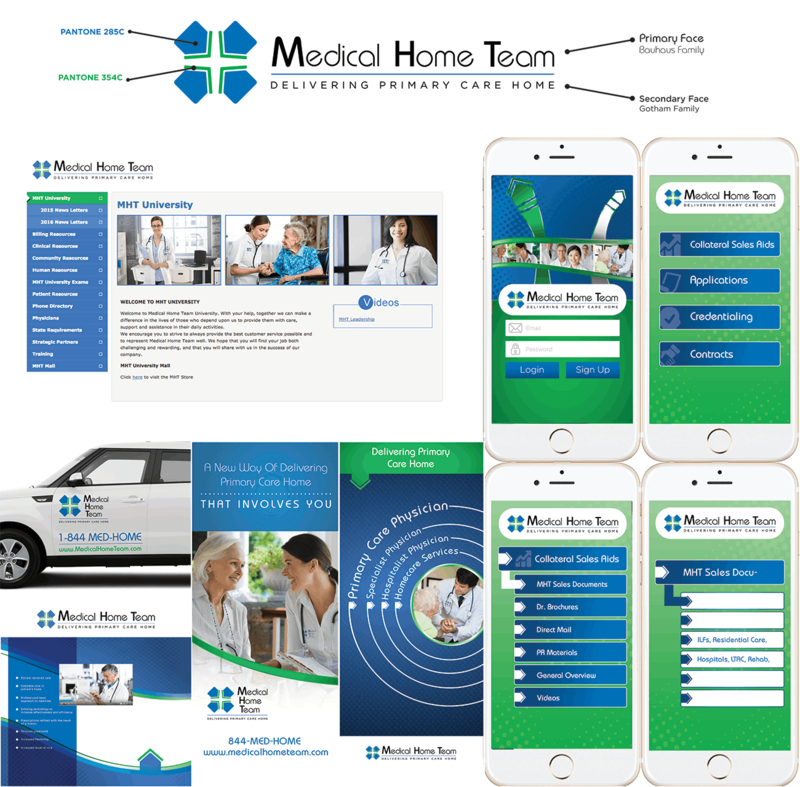 Medical Home Team – a medical care team that works with primary care physicians to bring their services to senior patients in their homes. To establish the brand pillars and develop marketing, advertising and digital materials for recruitment, sales and support. Through Proterra’s efforts, MHT has achieved significant success and is currently providing services in several states with plans to grow by the end of 2017. Increase overall growth within all their locations, while creating brand affinity and interaction on social media channels. To build and develop an exciting campaign utilizing TV and radio, as well as social media content. Key metrics due to Proterra’s work included a 12% growth during our tenure, an increase in social media engagement, increase in impressions while utilizing the same budgets over previous years. Proterra developed solutions for business directives in multiple business units. Highlights include double digit response rates, 30% increase in speed to market, and 30% increase in collaboration to name just a few.